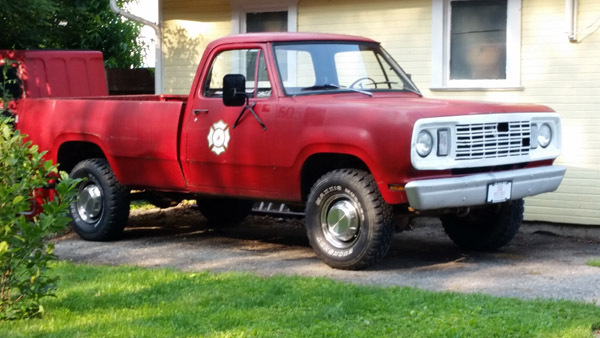 Gary owns a 77 Dodge W200 4x4 he purchased from a local car lot in Ohio in June of 2015. It started life as a military M880, then went to a Mississippi Fire Department, and then to their Department of Forestry. The truck only has 16K miles on it, and is pretty much an all stock truck. It has the stock 318. Thanks to Mopar Truck Parts for helping to find all the parts to convert it to power steering. Future want list includes: 4 barrel carb and manifold, headers, dual exhaust, new leaf springs all the way around for a 4 inch lift. Future plans also include new gauges, new seat, and to have a good time with it.